Oma is not a huge coffee drinker. However, on a cold and wet day and/or after a long day at the computer, a good cup of coffee really hits the spot. 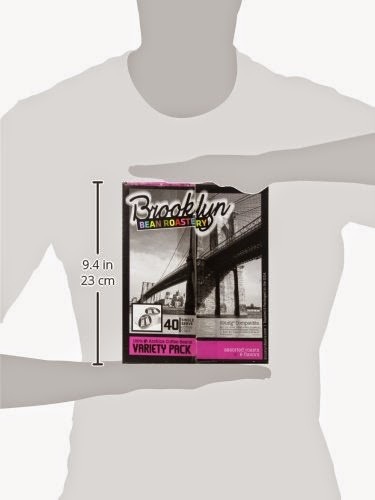 The Brooklyn Bean Variety Pack comes with forty single serving cups. This sample pack is perfect for personal use or for entertaining. I love how these Single-Serve Cups maintain their freshness and aromatic strength. Oma has tried several of the samples and can tell you they are delicious. Brooklyn Beans Roastery is the first independently owned, single-serve coffee company using ‘Roast2Cup’ technology, a process that ensures the best cup of coffee every time you brew. Not your everyday cuppa Joe, see? “Oma Loves U!” has teamed up with Brooklyn Bean Roastery to conduct a giveaway for her blog readers. 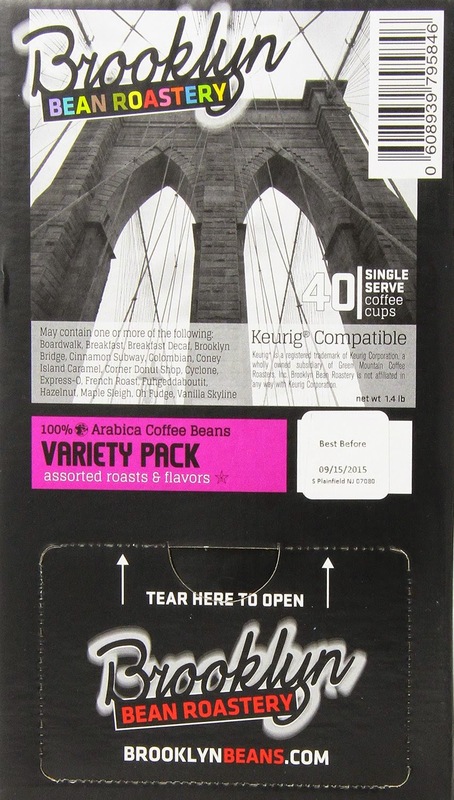 One lucky fan will win a 40-count Brooklyn Bean Roastery Sampler Pack (ARV $22.00). Coney Island Caramel sounds really good. I'd love to try the Hazelnut. Thanks so much. I would have to try Fugheddaboutit first! I would like to try Cinnamon Subway! I love the Donut Shop! I would probably try the Oh Fudge one first. Definitely the Maple Sleigh- it sounds too good to pass up! I would like to try the Hazelnut flavor the most. I would taste the Colombian first. I would like to try Fugheddaboutit~! I think I would enjoy Boardwalk Blend. I would like to try the Cinnamon Subway first. I would like to try the Vanilla Skyline. I'd like to try the boardwalk blend the most! I would like to try Breakfast Blend first because I have coffee with dry cereal just about every morning. It would not seem right to start the day without a good cup of coffee. 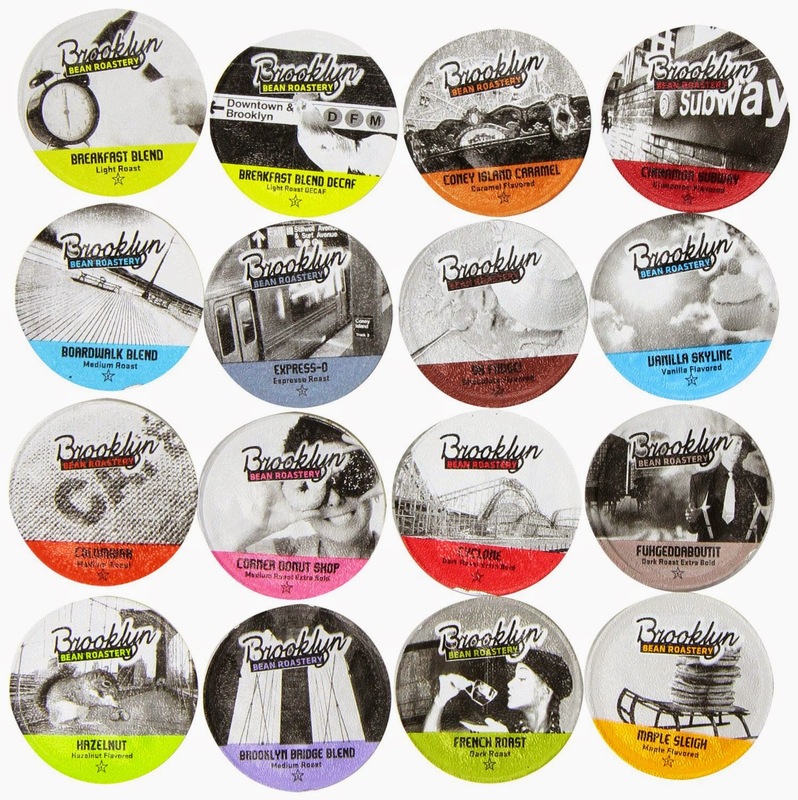 Leave a comment telling us which flavor of the Brooklyn Bean Variety Pack you would like to taste first? I would love to taste cinnamon subway. I would like to try the Fugheddaboutit blend. It's a strong blend, like I prefer. I would probably try the Cinnamon Subway first. I love cinnamon coffee! I would like to try Cinnamon Subway first. The Hazelnut is what I want! I'd probably end up trying the Fugheddaboutit first because the name is fun. I'd like to taste French Roast first. I would like to try the cinnamon subway. I'd have to go with the Coney Island Caramel! I want to try the Hazelnut flavor. The Vanilla Skyline sounds great. Thanks for the chance. I would love to try the Island Caramel flavor. Cyclone just because I am curious what it taste like. I want to try the cinnamon subway first. I would do hazelnut first, its my fav! I would love to try Coney Island Caramel. Thanks for hosting! mmm, Cinnamon Subway sounds good! It would have to be Oh Fudge! Breakfast blend would be good. I would love to try the Coney Island Caramel first. I love caramel! I would choose Hazelnut or Coney Island Caramel. I'm most excited about the Oh Fudge flavor :) Yay chocolate! Oh fudge or vanilla skyline would be first! Hmm, so many look good, but I cannot say I have ever had maple coffee so I would be interested in trying the Maple Sleight first. i would either try the Donut Shop first or the hazelnut. I would try the Coney Island Caramel first. I want to try the Coney Island Caramel. Coney Island Caramel sounds great! I'd like to try Breakfast Blend. I would love to try the Vanilla Skyline. Boardwalk blend is my favorite flavor. Maple sleigh is tasty too! Donut Shop is a favorite. Oh Fudge for my sweet tooth! I want to try Vanilla Skyline. I'd give these to my sister and she'd like the Coney Island Caramel. I would like Breakfast Blend first. My daughter always says anything with vanilla, lol. Cinnamon Subway for me! However, they all sound amazing! I like the Brooklyn Bridge and the Fugheddaboutit blends out of the ones that I have tried before. I'd like to try the rest of the ones that I haven't had yet. I like to try Hazelnut. I would like to try the Breakfast Blend first, it sounds delicious. I would like to try the Cinnamon Subway flavor.